PETRA Diamonds had turned the corner in respect of its operational problems, a development that would help the firm lower net debt and possibly drive a re-rating of the firm’s share, said analysts. “A refreshing quarter from Petra Diamonds delivered a production beat across most of the mines including Finsch and Cullinan where production guidance had recently been downgraded,” said Tyler Broda, an analyst for RBC Capital Markets. He said diamond prices had yet to revive, and while risks around the ramp-up for Petra’s mines still remained, the share could eventually recover since it has heavily down this year (about 45%). On October 22, Petra said it was on course to generate free cash flow in 2019 following production and sales numbers for the first quarter of its financial year in which revenue was 22% higher at $80.2m from 626,541 carats sold. Net debt – which is Petra’s single largest concern at present – increased to $538.9m compared to $520.7m as of its 2018 financial year end on June 30. Johan Dippenaar, CEO of Petra, said the increase was anticipated owing to an increase in diamond inventories. The company completed a $178m ($170m net) rights issue in June. 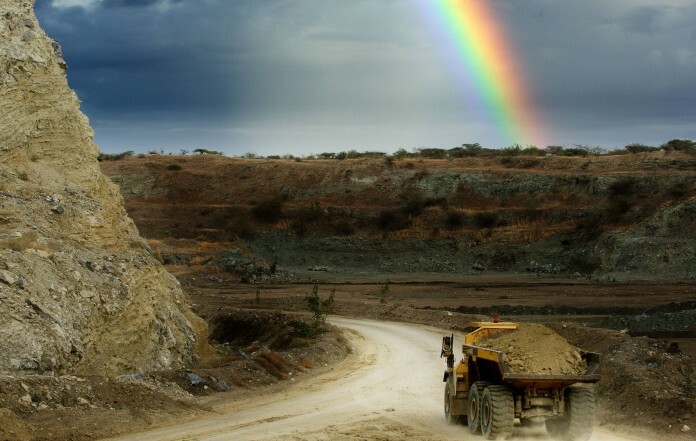 “Petra appears to have turned the corner from an operating perspective with mining and throughput starting to move into line with guidance,” said Des Kilalea, a diamond analyst at Canaccord Genuity. Whilst there were “risks” on the pricing of some stones from Petra’s Cullinan mine, a weaker rand/dollar exchange rate, guaranteed revenue on hedging, and a reduction in units costs “… should start generating the cash needed to work down its high debt levels,” he said in a report published today. “Investors have long anticipated Petra reaching the tipping point into positive free cash flow territory and have been continually disappointed by delays to the transition,” said Edward Sterck, an analyst for BMO Capital Markets in a report before Petra published its first quarter numbers. He said this performance made the market “… naturally cautious”, before adding: “However, our in-depth analysis suggests this may now be the moment …”. “Although some operational risks remain, Petra appears to be on the cusp of turning free cash flow positive, a potential re-rating catalyst for the share price,” he said. Shares in Petra Diamonds weakened slightly in the wake of its first quarter announcement, especially as the company said it would only become cash flow positive in the second half of the year (but would be cash flow positive for the financial year). Nonetheless, the share is off its all-time low recorded in September. Petra has a market capitalisation of £316.4m.